Gov. 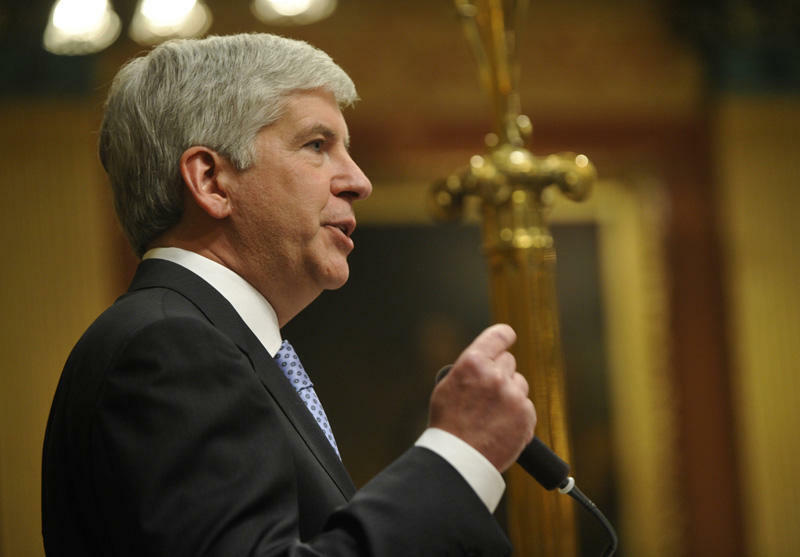 Rick Snyder delivering a State of the State address. The source for the Detroit Free Press said this was done in response to the money private foundations are pledging. The governor would like the state to match the $330 million that has been pledged by private foundations under a deal brokered by Chief U.S. District Judge Gerald Rosen.